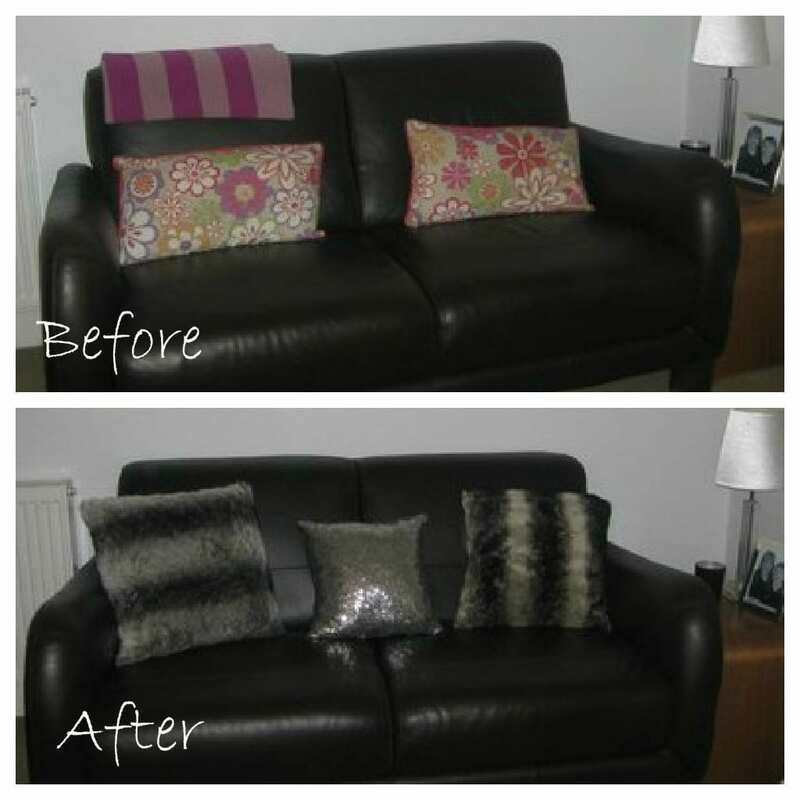 Do you update your cushions and textiles for Winter? Or do you alter the decor a little in time for Christmas? This year I’ve decided to give the Living Room a mini makeover with these fabulous cushions from Matalan. I wanted a warm, cosy feel with lots of texture and sparkle; think fur and frost.The cushions are just the beginning as I’m just putting up my Winter Wonderland Christmas decorations. I’m looking at bits of wood, fur, feathers and pine cones sprinkled in glitter. Mixed all together I’m going to feel like I’m in that log cabin in the woods! I was pleasantly surprised by the range available and chose the 3 styles of you can see above. The Owl Faux Fur cushion is large and very shaggy; the Stripe faux fur is warm and cosy, and the smaller Sequin cushion is pretty and very sparkly. Grouped together they immediately give my living room a warmer, snuggly feel much more in keeping with the time of year. Take a look at the before and after and see what a difference a small change like this has made. Don’t they look fabulous? I am really impressed with the quality of the Matalan cushions particularly as they retail for only £8 each. They’re large, very plump and incredibly stylish. Watch out for offers on their website too. At the time of choosing, they had a Buy One get One Free offer running, although this is over at the moment. Fantastic value for some bang on trend home accessories. Well worth taking a look. Disclosure: I was given a selection of Matalan cushions for free. The opinions and comments are genuine and honest. They make a huge difference, and what a bargain! They look really plump and comfy too, and wintry with the fur.